Team Saxo Bank faces the UCI’s licence commission and a possible downgrade from the WorldTour. After Alberto Contador’s doping ban on February 6, the team lost a majority of its points, 68 per cent. Automatic invitations to the Tour de France, Giro d’Italia and other WorldTour events will be rescinded if Saxo Bank drops to the second division. Acquarone said that the Giro’s team commission would contact the second division teams interested, including Saxo Bank, and select a new, 22nd team to race from May 5 to 27. Several second division Italian teams would like to race, including Acqua & Sapone. Tour de France organiser would follow a similar path, maybe selecting a second division team over Saxo Bank. Contador lost his 2010 Tour and 2011 Giro titles when the CAS upheld his positive test at the 2010 Tour and banned him for two years. German second division team, NetApp received an invitation to race in the Tour of Flanders classics on April 1. It is the second big opportunity for the team, which in January was invited to race the Giro d’Italia. “We had to choose among three teams for the last wild card,” said the race’s managing director, Nicolas Denys. “NetApp was the team that convinced us. Their performance at Paris-Roubaix last year showed us that they enter a major race with an undaunted and aggressive spirit. The team will join the 18 ProTeams and second division teams Topsport Vlaanderen-Mercator, Accent Jobs-Willems Verandas, Landbouwkrediet, Project 1t4i, Farnese Vini-Selle Italia and Europcar. 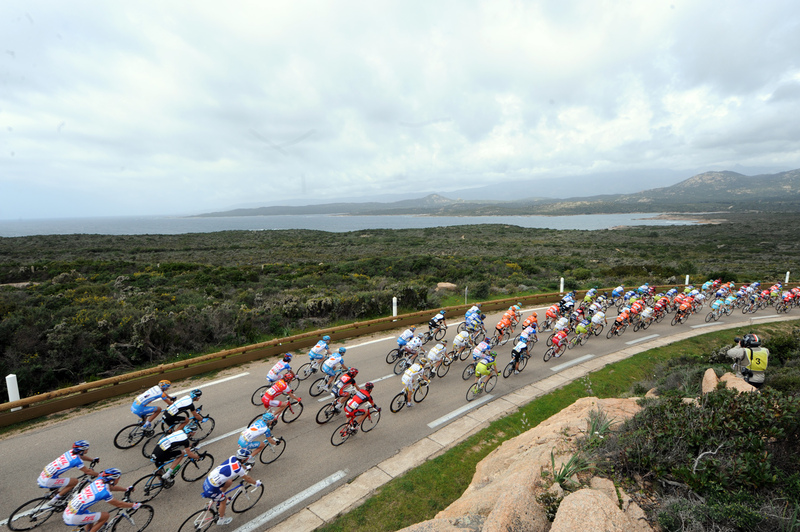 The Critérium International, March 24 and 25, will return to Corsica for a third consecutive year, organiser ASO announced on Tuesday. Fränk Schleck (Leopard-Trek) won the race last year after defending his lead in the final stage, a seven-kilometre time trial. Bradley Wiggins (Sky) placed second in the time trial. This year, however, the format changes. Riders face a flat stage and a time trial stage on the first day, Saturday, and a summit finish to Col de l’Ospedale pass, the third stage, on Sunday. It took the race to Corsica for the first time in 2010, paving the way for an eventual visit by the Tour de France. In November, it announced its 100th anniversary edition, next year, will start on the island. Jan Ullrich is banned from riding German amateur races as well as internationally for two years. The German federation extended the Court of Arbitration for Sport (CAS) ruling to its cyclo-sportive rides. Ullrich, the 1997 Tour winner de France winner, rode a few sportives in the last year, including one in Miami. The federation’s ban (BDR), however, only applies to those within his home country. Last week, the CAS banned the 38-year-old for two years and stripped his wins since May 1, 2005 – including third in the 2005 Tour. It ruled on evidence from the Union Cycliste International (UCI), which showed connections to doctor Eufemiano Fuentes. Ullrich visited him several times and paid around €80,000 prior to the Operación Puerto raids in 2006, according to the CAS.